Set on 5 acres of secluded rural/coastal farmland in beautiful Whangaroa. Unwind in your fully equipped boutique suite with PRIVATE SPA, king size bed, and so much more. We are on one of New Zealand's most scenic drives...beaches, walks and pure NZ at your doorstep....come and see for yourself....you will not be disappointed.....many, many of our guests return year after year..
We are proud to say all cleaning products used and toiletries provided are environmentally safe with NO testing on animals...and made in NZ....this is very important to us at CCS. Please enquire re pets staying..
Small fishing village renowned for Marlin Fishing trips. Sports Fishing club and pub. We have been traveling overseas for two months, in both Australia and North Island, NZ. The privacy, hospitality and luxury that Jon and Beth afforded us was just amazing. We relished every moment at our accommodation and found it hard to travel around and to finally leave. 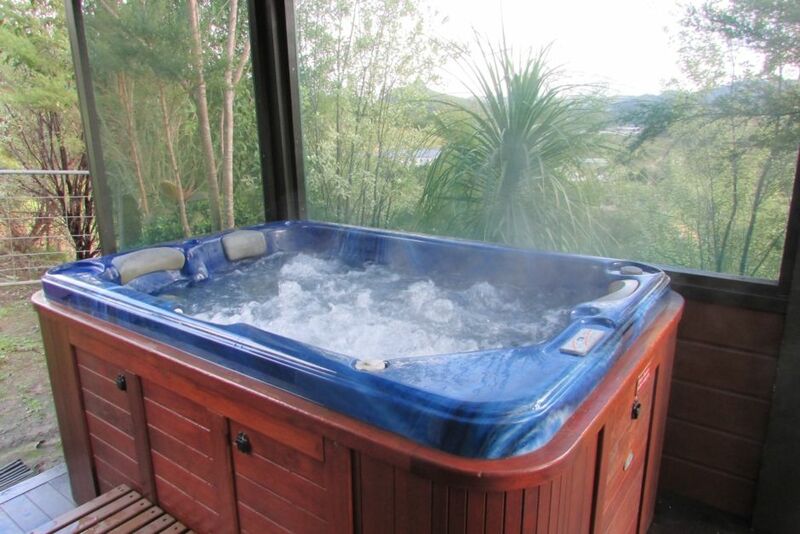 Amenities abound, the hot tub is a treasure, and the ease of life just stunning. We indeed, saved the best for last. We had such a great stay and especially our 3 fur baby frenchies. We had such a great stay and especially our 3 fur baby frenchies. The place was lovely clean and had more than everything we needed. Even the little touches of treats for the dogs, pet books turned to our breed and a nice warm friendly welcome from Beth and Jon. We will definately be back! Beautiful place to stay. Very private, peaceful and great views. Loved every minute! Whangaroa Harbour (5 minute drive away). Attractions are peace and quite, secluded privacy, drinking wine in the hot tub, nature, walking, swimming, relaxing. Many DOC walks for all fitness levels. Kerikeri (30 drive) for golf, vineyards, shopping.